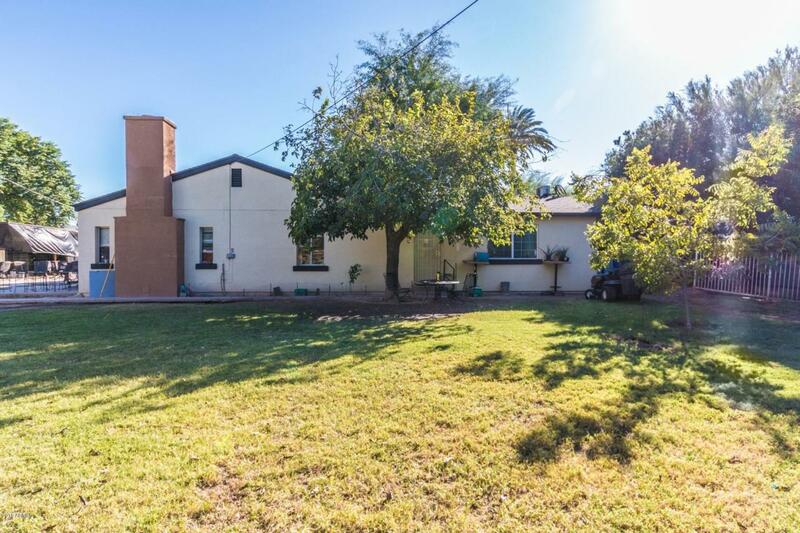 Private ranch in the heart of South Phoenix! RV gate to beautiful large irrigated lot for horses, storage, entertaining, etc. No HOA gives you the flexibility to use the property to fit your needs. Mature landscape with large trees & a private hedge lining the front gives you plenty of privacy. The main home boasts over 2,000 square feet with 3 bedrooms/2 bath, sep guest studio w/ bathroom, &, sep office w/ bathroom. Beautiful tile surround in bathroom, soaker tub, decorative fireplace in family room, granite kitchen tops & plenty of cabinet storage in the kitchen. Too much more to list! It's a must see! The home is close to downtown and all the amenities including sports, entertainment, restaurants, etc. South Mountain is just a short distance to the south. Make this your private oasis!